Stakeholder and public support are critical for an enduring and robust carbon pricing policy. How jurisdictions communicate their carbon pricing policy plays a key role in creating and maintaining that support. 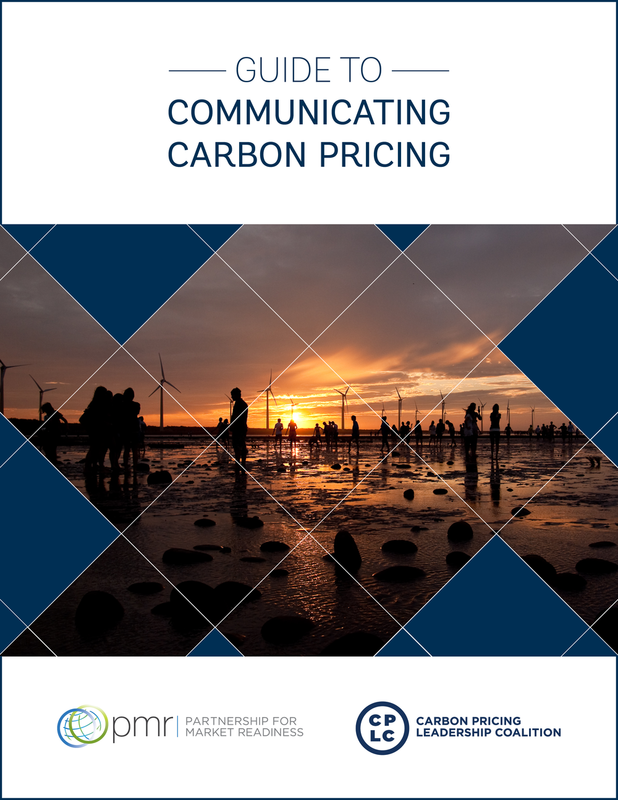 The Partnership for Market Readiness (PMR) and the Carbon Pricing Leadership Coalition (CPLC) recently released their Guide to Communicating Carbon Pricing. The Guide aims to help governments design & implement effective communications strategies. On 29 January 2019, the PMR and the CPLC will host an interactive webinar with the lead authors, George Marshall, Co-Founder and Director of Projects, Climate Outreach and Darragh Conway, Senior Legal Consultant, Climate Focus. The authors will present the key findings from the report. There will then be an opportunity to ask questions and further discuss what makes successful communication on carbon pricing. Register below. Timing reflects US Eastern Standard Time (Washington, D.C.).